North Korean leader Kim Jong Un remains unsure whether he can trust potential future guarantees of regime security from the United States, South Korean President Moon Jae-in said on Sunday. Sunday saw Moon also say that he had conveyed U.S. President Donald Trump’s hopes to improve DPRK-U.S. relations and promote economic cooperation should the North achieve full denuclearization. “But President Trump clearly expressed his intention to definitely terminate the hostile relations and help the country achieve economic prosperity at the ROK-U.S. summit if the North fulfills denuclearization,” the South Korean President told media. “I am urging both countries to share such agendas to each other and confirm the will of the other side through direct communication,” he continued, adding he had also shared the results of the fourth inter-Korean summit with the Trump administration. 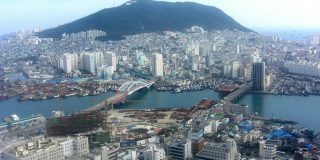 U.S. officials over the past weeks have suggested that Washington could assist the North economically should the country give up its nuclear arsenal. The North and South Korean leaders also on Saturday agreed to meet and communicate “at any time” if necessary. Saturday saw Kim and Moon hold an unexpected two-hour meeting at Tongilgak on the northern side of the truce village at Panmunjom. 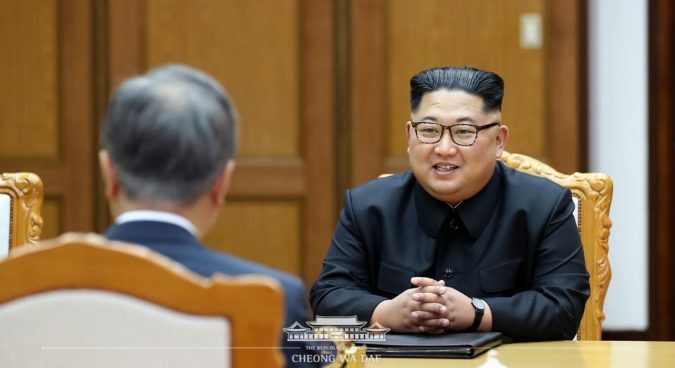 Moon today said the North Korean leader Kim Jong Un had on Friday proposed that the two meet the following afternoon, and that he had accepted the suggestion. 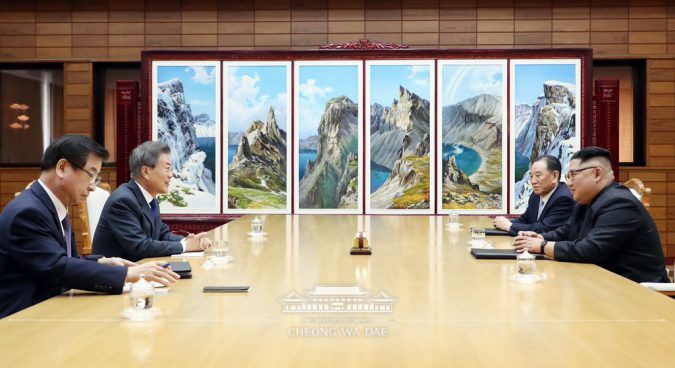 “We gave a high evaluation to the fact that the summit yesterday was arranged in a speedy manner without sticking to formalities as the occasion demanded and agreed to communicate or sit together to have candid discussions whenever necessary,” the ROK President said on Sunday. 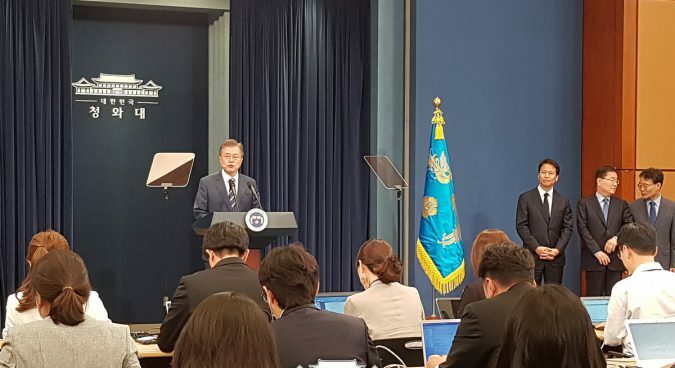 Speaking at the news conference, Moon reiterated he and Kim promised to discuss pending issues “at any time and without formality if necessary” at the third inter-Korean summit on April 27. 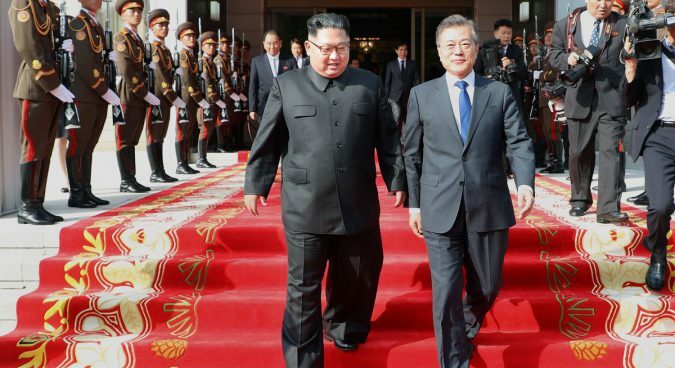 The two Koreas yesterday also reportedly agreed to hold the inter-Korean high-level talks on June 1, previously unilaterally canceled by Pyongyang earlier in the month. 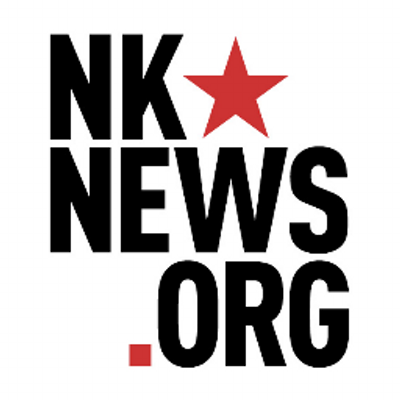 Following comments in which the North denounced the then-ongoing joint ROK-U.S. annual air combat drill Max Thunder, a DPRK official later said that inter-Korean meetings would not go ahead until the issues were resolved. 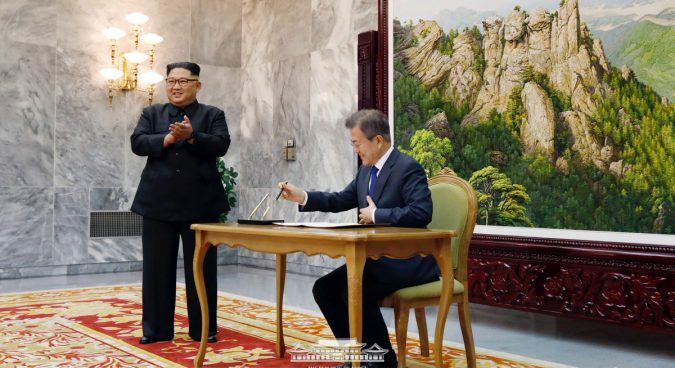 Moon and Kim on Saturday, however, agreed to press ahead with talks in various fields, including military and humanitarian. “We also reconfirmed the need to accelerate the implementation of the Panmunjeom Declaration,” the President said. Sunday’s surprise meeting between Moon and Kim came two days after President Trump called off a planned summit with the DPRK leader in Singapore set to take place on June 12. In a letter addressed to Kim just hours after the DPRK claimed to have destroyed its nuclear testing site at Punggye-ri, President Trump said due to the “tremendous anger and open hostility” expressed in a recent statement, he believed it would be “inappropriate” to hold the meeting. 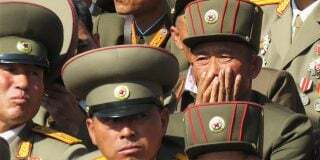 Following the surprise inter-Korean summit, too, Washington suggested that the meeting could still place. In comments to press, White House Press Secretary Sarah Huckabee Sanders said that the White House would send a planning team to Singapore to prepare for a possible summit. Working-level talks on the DPRK-U.S. summit will begin “soon,” President Moon Jae-in said on Sunday, adding that the success of those talks will decide if the Kim-Trump meeting takes place. Moon said he expected working-level talks and the summit between Pyongyang and Washington to go ahead if the two countries were “clearly aware” of the other’s position. 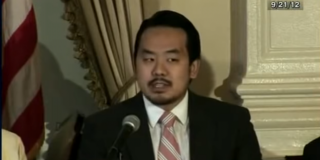 The South Korean President also told press he supported the setting up of a “hotline between the North and the U.S.” when asked about the possibility of dialogue between the leaders of the two Koreas and the U.S. over the phone. He also suggested that a trilateral summit could take place ahead of a planned signing of an agreement formally ending the Korean War, previously agreed by the two Koreas in April. Moon made no mention, however, of potential Chinese participation in peace treaty talks – a clause agreed to in the Panmunjom declaration. The ROK President also declined to provide a direct answer on whether the DPRK leader had accepted the idea of Complete, Verifiable and Irreversible Dismantlement (CVID) of its nuclear arsenal, which has been rejected by Pyongyang but remains a key U.S. demand. “In order to hold dialogue between the North and the U.S., my understanding is that it will be possible after both have confirmed the will of the counterpart,” Moon said. Moon said that it would be “inappropriate” to share his thoughts on any roadmap to denuclearization, describing it as an issue to be discussed between the North and the U.S. Subscribe to read the remaining 1171 words of this article.